Flu is widespread across the country, which means it isn’t time to let down your guard. (If you like groundhog’s day—an early spring has been predicted this year, so maybe warm weather will come chase the flu away). Here’s a refresher on flu prevention, including keeping up on immune supporting colloidal silver. From North Dakota to Texas, flu is widespread in 45 states. Even without snow, dryer, colder winter weather makes it possible for flu to spread pretty much everywhere. Flu is one of the worst viruses, which is probably why we compare everything to the flu (we say “flu-like symptoms” rather than just “viral symptoms”). Not only do flu symptoms hit fast and hard, you can get them multiple times a year thanks to there being more than one flu strain in circulation at a time, and each one evolving, sharing, and/or combining with other flu strains. Flu symptoms include fever, chills, aches/malaise, fatigue, and sometimes nausea. While severe vomiting is sometimes referred to as flu, stomach flu is caused by a different pathogen (usually Norovirus during the winter). 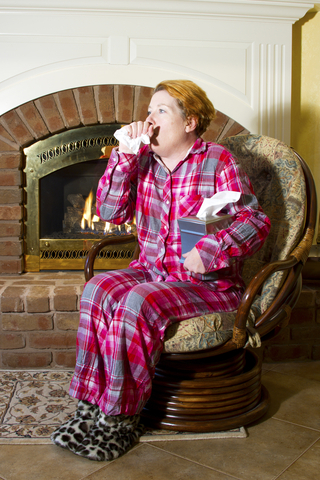 Colds can be similar to the flu, but come on slower and more mild. Flu prevention starts with you: wash hands frequently, clean frequently (especially shared surfaces like work lunch rooms), increase your humidity to decrease transmission, and stay home when you’re sick. Support your immune system so when you come into contact with the flu, you’re better able to fight it off. Prioritize sleep, meal and snack planning (which helps you get better nutrition), take breaks, and use colloidal silver as daily immune support. Colloidal silver has been used as immune support for centuries, and it is even better and more accessible today. Take advantage of colloidal silver as daily immune support or an occasional boost.